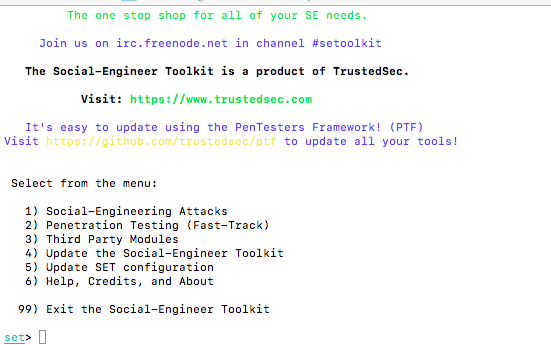 This is a very quick guide for installing the Social Engineering Toolkit (or SET) onto an OS X machine. This is also going to be the first in a series of hacking related articles. All in all pretty simple install. Remember, to always use responsibly. How to i link metasploit with it?